Guess what? 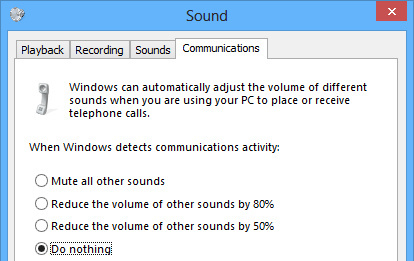 I finally managed to enable the Stereo Mix recording device in Windows 8! I know, right? A few things made this possible: an older motherboard and an available audio drivers with this Stereo Mix functionality. 1. 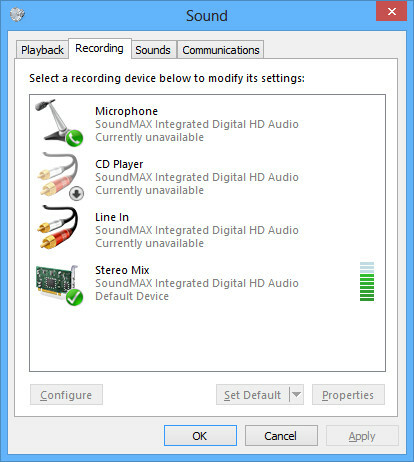 Download your specific audio drivers. This is important. In my case, I needed the SoundMAX ADI Audio Driver. I downloaded it from my motherboard’s manufacturer, Asus. 3. Choose the VISTA version (or XP if Vista’s unavailable) 32 bit or 64, depending on your OS. Note that you could run the installer in Compatibility Mode right away if you wanted. But it’s more fun to see Windows giving the solution automatically. Great! If you managed to enable the Stereo Mix, there’s one more thing you need to know : the quality of the recording will not be based on your DAW’s recording settings, but the chip/hardware’s limitations. If your sound card can record 24bit/96kHz, great! But you it won’t be able to go higher. Most device record at 16/44.1kHz and/or 24/48kHz.